Takumi Minamino (FC Red Bull Salzburg) wins a free kick in the defensive half. Attempt blocked. André Ramalho (FC Red Bull Salzburg) left footed shot from the centre of the box is blocked. Assisted by Hannes Wolf. Substitution, FC Red Bull Salzburg. Fredrik Gulbrandsen replaces Enock Mwepu. Corner, FC Red Bull Salzburg. Conceded by Vlad Chiriches. Diadie Samassekou (FC Red Bull Salzburg) is shown the yellow card for a bad foul. Offside, FC Red Bull Salzburg. Andreas Ulmer tries a through ball, but Takumi Minamino is caught offside. Attempt blocked. Andreas Ulmer (FC Red Bull Salzburg) right footed shot from outside the box is blocked. Assisted by Stefan Lainer. Offside, FC Red Bull Salzburg. Alexander Walke tries a through ball, but Enock Mwepu is caught offside. Offside, FC Red Bull Salzburg. Enock Mwepu tries a through ball, but Takumi Minamino is caught offside. Corner, Napoli. Conceded by Jerôme Onguéné. Attempt blocked. Piotr Zielinski (Napoli) left footed shot from outside the box is blocked. Assisted by Fabián Ruiz. Attempt saved. Arkadiusz Milik (Napoli) left footed shot from the centre of the box is saved in the top centre of the goal. Assisted by Dries Mertens with a cross. Mário Rui (Napoli) wins a free kick on the left wing. Second Half begins FC Red Bull Salzburg 1, Napoli 1. First Half ends, FC Red Bull Salzburg 1, Napoli 1. Attempt missed. Takumi Minamino (FC Red Bull Salzburg) left footed shot from outside the box is close, but misses to the right. Assisted by Hannes Wolf. Jerôme Onguéné (FC Red Bull Salzburg) is shown the yellow card for a bad foul. Attempt missed. Hannes Wolf (FC Red Bull Salzburg) left footed shot from the centre of the box misses to the left following a corner. Attempt blocked. André Ramalho (FC Red Bull Salzburg) right footed shot from outside the box is blocked. Corner, FC Red Bull Salzburg. Conceded by José Callejón. Attempt missed. Jerôme Onguéné (FC Red Bull Salzburg) header from the centre of the box is close, but misses to the right. Assisted by Dominik Szoboszlai with a cross following a corner. Corner, FC Red Bull Salzburg. Conceded by Allan. Attempt missed. Enock Mwepu (FC Red Bull Salzburg) right footed shot from the centre of the box is close, but misses to the right. Assisted by Stefan Lainer with a cross. Attempt saved. Fabián Ruiz (Napoli) left footed shot from outside the box is saved in the bottom right corner. Assisted by José Callejón. Goal! 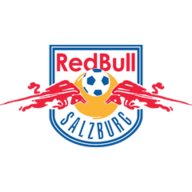 FC Red Bull Salzburg 1, Napoli 1. Munas Dabbur (FC Red Bull Salzburg) right footed shot from the centre of the box to the bottom left corner. Assisted by Dominik Szoboszlai. Attempt missed. 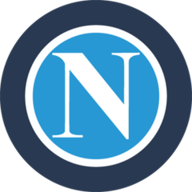 Dries Mertens (Napoli) header from the left side of the box misses to the left. Assisted by Mário Rui with a cross following a corner. Corner, Napoli. Conceded by André Ramalho. Goal! FC Red Bull Salzburg 0, Napoli 1. Arkadiusz Milik (Napoli) left footed shot from very close range to the centre of the goal. Attempt saved. Arkadiusz Milik (Napoli) header from the centre of the box is saved in the bottom right corner. Assisted by Fabián Ruiz with a cross. Corner, Napoli. Conceded by Diadie Samassekou. Hand ball by Munas Dabbur (FC Red Bull Salzburg).